As Mitsubishi continues their master plan to become a leader in EV technology, the automaker will soon be launching an Outlander Sport plug-in trim for 2013. Mitsubishi is continuing with their master plan to become the quintessential mainstream electric automaker. The all-electric i-MiEV is now available in the US market and will go on sale in other global markets early next year. In addition, the Outlander Sport will also be seeing an interesting change for 2013. The Outlander and Outlander Sport are currently sold as gasoline-powered vehicles, but according to a new report, the Outlander Sport will be spawning a new plug-in hybrid version. The Outlander Sport plug-in hybrid, which appeared as a concept at the 2009 Tokyo Motor Show, will be the Japanese automaker&apos;s second electric US effort. It will be powered by a 1.6-liter gasoline-powered four-cylinder combined with a lithium-ion battery pack. In contrast, the i-MiEV operates solely on lithium-ion batteries. By 2015, the Japanese automaker aims to launch a total of eight vehicles globally that are either completely electric or plug-in hybrids. 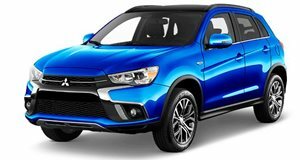 This two-punch approach makes sense for Mitsubishi because they&apos;re taking an existing and respected model, the Outlander Sport, and giving it a dose of environmental friendliness. Combined with the launch of the i-MiEV, Mitsubishi is moving fast in reinventing themselves. Sadly, this also means the Eclipse is history.